Recently renovated barn conversion now a spacious 3 bed cottage, finished to a high standard, fully equipped, beach 2 miles, Andreas village and pub 2/3 miles. Tucked peacefully away overlooking open fields. 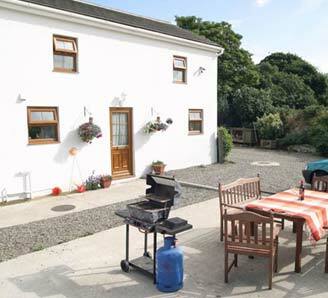 No extras, children very welcome, Sky TV, DVD, Video, Barbecue area and gym facilities available. Centrally heated and double glazed. Wonderfully relaxing. For brochure and Further information contact Colin and Jackie Lathbury.